This is the ultimate list of time management tips. But it’s not a list of random tips. There are 9 sections to help guide you in managing your time better. The first section is the most important, as it makes sure what you are doing is productive in the first place. I recommend stating there. Don’t need to try to implement everything in this list. That’s not what it’s for. While there are certain principles that everyone should follow, the different time management tips, techniques, and strategies aren’t one-size-fits-all. What works for someone else may not work for you. That’s why some of your past efforts to manage your time better may have failed. As you go through the list, figure out what works for you and what doesn’t. You may even adjust them to match your personality and style. Knowing where you are going and what is important is the most critical part of time management. Without this direction, even if you are more “productive”, you will be productive on tasks that don’t have much value. It’s hard to get somewhere if you don’t know where you are going. Make sure that you have goals for the different areas of your life written down and located where you can constantly see them. As you daily make decisions on what tasks to do (and not do), make sure to focus on the tasks that get you closer to your goals. For more about goal setting, see Brian Tracy’s and Wanderlust Worker’s articles. What tasks were you hired to do at work? What results were you hired to achieve? What are the most important tasks that you have at work? These are your Key Result Areas (KRAs). If you don’t know what they are, ask your boss or supervisor. Find out what your most important tasks are, then focus on them. 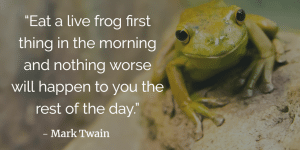 According to Brian Tracy in Eat That Frog!, each of us has 3 core tasks in our job that make up 90% of our contribution. 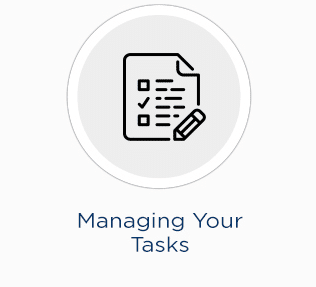 What tasks are those for you? Pareto’s principle, also known as the 80/20 rule, says that 20% of our efforts result in 80% of our production. Just a small number of tasks have more impact than all the other tasks combined. If you have discovered your Key Result Areas and core 3 tasks, you are in the right direction of applying the 80/20 rule. Even within your KRAs, what is the 20% you do for those areas that accomplish the most? Think about your goals and other areas of your life. What would be the 20% that produces the most results for those? This is Steven Covey’s time management matrix from his book The 7 Habits of Highly Effective People. Quadrant I is the urgent and important. These are urgent crises that come up that we must get fixed. Quadrant II or not urgent but important tasks. This is where we want to stay. This is where we plan, do proactive work, and do most to all our 20%. The more we focus on Quadrant II work, the less time we will likely spend in Quadrant I.
Quadrant III tasks are tasks that are urgent but not important. They seem important because they are urgent, but normally can wait or don’t need to be done at all. This could include a lot of emails, phone calls, or people stopping by with an “urgent” problem. Quadrant IV tasks are tasks that are not important and not urgent. This could be checking Facebook, idle chat, and so on. Look at how you use your time. How much of it is in Quadrant II? Brian Tracy in Eat That Frog! tells a story of a lady who knew her 3 core tasks and asked her boss if she was correct about them. She then asked if he would help her delegate the tasks that weren’t part of the 3 core tasks. She asked that, if she doubled her contribution by focusing on those 3 tasks, if he would double her pay. Julie Morgenstern in Time Management from the Inside Out says that we should divide our lives into 3-6 departments (such as family, personal, work, spirituality, health, etc.). Then we should examine and balance our time between those different departments. This keeps us from focusing too much on one area while ignoring another. To do this, you can track how you used your time in the past two weeks or track how you use it in the coming two weeks. See how much time is spent in each area. There are 168 hours per week. Divide the time for each area into 168 and see what percentage of time you give to each area. Then, adjust as needed. Brian Tracy in Eat That Frog! says that we should focus our energy and time on areas that we are talented at and enjoy. Granted, this can’t always be done in every situation all the time, but if you are pursuing something in your career and life that you enjoy and are good at, you will be more passionate, focused, motivated, and productive. It will seem less like work, and you will find yourself able to implement time management strategies more easily. Check out To Be Successful, Do What You Do Best. You budget, or map out, how you plan to use your time for each department, or area, of your life. You can schedule a strict “from this time to this time” period, or you can be less structured and just plan a certain amount of hours for each department. It can also help you stay balanced by letting you see how adding a certain task or activity will throw your system out of whack or if you can rearrange time to make sure you keep the balance that you want. For more information check out this article on Lifehacker or the book Time Management From the Inside Out. Many find it helpful to plan out their month ahead of time. Now, this doesn’t mean that you must plan every task for the month ahead of time, but you can plan general themes or what certain tasks or projects you need to complete for that month. This can help you focus on and accomplish your goals. As you review the last month, you can see what steps you need to take for the coming month and plan the projects, themes, or tasks you need to do to push you further along. You can also use it to see what projects or events may be on the horizon for your job or in life. This allows you to be proactive and prepare for them versus reacting as they come along. Before the next week starts (Sunday night, for example), plan for the next week. Write out the tasks, projects, themes, or areas that you want to work on that week. You can put different tasks to different days or make a list for the week to pull from. Planning for the week also helps you stay focused on your long-term goals. If we only plan for the day each day, it’s easy to get lost in the day-to-day and not look long-term. But, by focusing on the week, we can focus on making sure that what we do aligns with where we want to go (and with what’s most important). It’s wise to plan your next day the day before. This can be done the night before or sometime during the day. Dr. Jason Selk and Tom Bartow in Organize Tomorrow Today recommend planning for the next day in the middle of your day to make sure you get it done and don’t put it off. When you plan the next day, it puts your tasks in your subconscious to work on them while you sleep. It also saves you valuable time the next day. When you come to work the next morning, you will know what you have to do and can get started immediately. It saves you from the wasted time of figuring out what to do and from piddling around. It also helps you keep focused on what’s most important. Brian Tracy says that for every minute we plan, we save 10 minutes in execution. Kevin Kruse in 15 Secrets Successful People Know About Time Management says that instead of working off a to-do list, we should work off a calendar. Anything that we need to do, we should schedule it. His reasons for this include it helping us focus on the important and not getting overwhelmed from a humongous task list with some tasks that never get done. He also mentions how many highly successful people live off the calendar. However, it doesn’t need to be one are the other. You can do a mix of both, whatever fits you. For example, you may plan certain periods of the day on your calendar for certain projects or areas of work, then work from your list. Or you may write everything on a list, then calendar the most important at set times. Check out Millionaires Don’t Use To-Do Lists (They Use This Instead). Whether you work off your calendar, your to-do list, or both, it’s wise to schedule blocks of uninterrupted time to work. During this time, you have all notifications and distractions turned off and blocked, and you work focused on the task or tasks at hand. Check out Time Blocking — The Secret Weapon For Better Focus and Get What Matters Done by Scheduling Time Blocks. 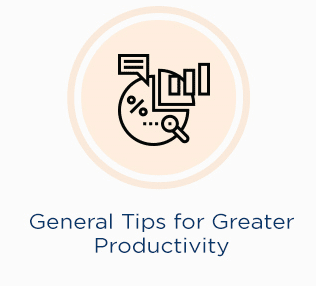 Now that you know you know what you should be working and have your planning established, here are some tips that will help you manage your tasks better. Brian Tracy in Eat That Frog! (you will never guess where he got that name) says that we should do the hardest task that we dread first – eating the frog. It can be easy to delay the hard tasks and focus on easier, less meaningful tasks. But if we get the hardest one done first, we can know that the rest of the day is going to be easier (and it’s done, too! We don’t have to dread it all day). Kevin Kruse in 15 Secrets Successful People Know About Time Management calls them your MITs – Most Important Tasks. Dr. Jason Selk and Tom Bartow in Organize Tomorrow Today discuss having 3 Most Important Tasks and 1 Must Do planned out for every day. What must-do, hard task have you been putting off that you need to get done right now? 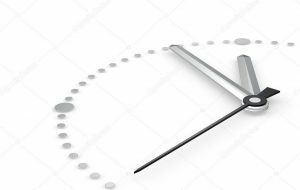 Julie Morgenstern in Time Management From the Inside Out says that asking “How long will it take” is the gateway to great time management. Estimating (and getting it right) helps us plan our days better. If we know how much tasks are going to take, we can know how much we can fit into the day and not get discouraged by tasks that we thought we had time for, but didn’t. She suggests keeping track of our estimates and actual amounts over time to see how well we get it right to improve. Julie Morgenstern also suggests applying the 4 D’s to tasks that aren’t the most important (or part of our 20%): Delete, delay, delegate, and diminish. Delete – What tasks can you delete? What tasks are just wasted time? What tasks if deleted would have no negative consequence? Delay – What tasks can you delay now so that you can focus on the most important tasks? Delegate – What tasks can you delegate to others? Diminish – Is there a way to trim down what has to be done on that task? Does it really have to be “perfect”? Is there a template that you can use or create to save time? Delegating is a great way to help you focus on your most important tasks. If a task isn’t part of your 20% or KRAs, find a way to delegate those tasks, if possible. Brian Tracy says that whatever our hourly rate is, we shouldn’t do anything that someone with a lower hourly rate could do. We should only do tasks that fit or is higher than our pay rate. If you can’t delegate, you could consider outsourcing to another company to do that job or even hiring a virtual assistant. Learn more about delegating tasks. Have a place where you put all your tasks – whether a planner, master list, software, or app. Put everything in this one place. if it’s all in one place, you don’t have to search everywhere for it. Brian Tracy in Master Your Time Master Your Life suggests we make an A/B List. In the A column, list out all the tasks that you do that move you toward your goals. In the B column, list out all the tasks that you do that do not move you toward your goals. Stop doing the B list and focus on the A list. Examine your list from yesterday (or the past couple of weeks) and see how well your tasks match your priorities, your 20%, and your goals. If it’s not matching, you need to adjust. Brian Tracy in Eat that Frog! calls this the core question of time management. It’s easy to get focused on the urgent tasks that come our way or to focus on doing the “easier” tasks first. Asking this question helps us stay focused on the most important. It’s easy to get caught in the urgent of the now. Brian Tracy recommends using the ABCDE Method to manage your task list. For each item on your list, you write out A, B, C, D, or E.
“A” tasks are very important tasks that you must do. There could be serious consequences if you do or don’t do them. “B” tasks are tasks that you should do, but they only have mild consequences if you do or don’t complete them. “C” tasks are tasks that would be nice to do, such as phoning a friend, having lunch with a coworker, etc., but they don’t have any consequences either way toward your work. “D” tasks are tasks that can be delegated to someone else. “E” tasks are tasks you can eliminate without any consequences. If you have more than one “A” task, for example, number them (A-1, A-2, and so on) from the most important to the least important. Then, when you go through the list, start with “A-1”, and go down. You don’t do “A-2” until “A-1” is done. You don’t do a “B” task until all “A” tasks are done. When you schedule time to work on a certain task or project, treat it as a doctor’s appointment. If someone comes to you and makes a request, tell them you have something scheduled or that you are booked or just that you can’t. Granted, there are times when we must be flexible and move things around (we may sometimes reschedule a doctor’s appointment), but you need to treat your schedule seriously. If you have a group of similar tasks that you need to do, do them together. For example, if you have a set of emails to send out or a set of phone calls to make or papers you need to sign, set a time to do it all at once. This saves you time from switching between tasks. You can also bulk tasks such as preparing and sending birthday cards. At the beginning of the year, buy all the cards and stamps you need and have them ready to go. Check out How Batch Processing Made Me 10 Times More Productive. Multitasking makes us less efficient than if we focused on one task at a time. Focus on one task at a time. Don’t get distracted by side work or notifications from your phone or email. Focus on the one task. Check out 12 Reasons to Stop Multitasking Now! Focus on one task until it’s complete. While this may not be possible or ideal for every task, when we are able to do it, it saves us a lot of time. There’s switching time – the time it takes to switch back and forth between a task. There’s also catch-up time – the time it takes to figure out where you were on that task. And there’s flow-time – when we switch tasks mid-stride, we lose the flow that we may be in, and it may take time getting it back when we switch back to the task. Check out A Case for Singletasking: The One-Task-At-a-Time Method. In his podcast, Ken Courtright shared his method of managing his tasks. He has an excel sheet and puts his tasks in vertical columns. In the first column, he puts one task (usually the most important). In the second column, he puts one task. Then on the third, he puts 2 tasks, on the fourth three tasks, and so on. This helps him keep motivated and encouraged because instead of having one huge list, by the time he gets to the fourth or fifth column, he has already accomplished a lot. Ken Courtright says this statement frequently in his podcasts. What does it mean? It means stop trying to make everything perfect or waiting for the perfect timing to finish or put something out. If you wait till the timing is right, till the software is completely perfect, till you are the perfect writer, you will be waiting forever. Have you ever heard the phrase “perfection is the enemy of progress”? Done is better than perfect. Shipped is better than perfect. What are you spending too much time on trying to make “perfect”? When you are at work, work. When it is devoted family time, focus on your family. Many people struggle with their family life because they hardly focus on their family when they are with their family. They may not advance in their jobs because they waste so much time doing other things besides their job. Whatever time it is, do it. Work at work. When you are with your family, spend some focused time with your family, and so on. There will always be more to do and more to get done. You can’t do everything. You will have to procrastinate on something. 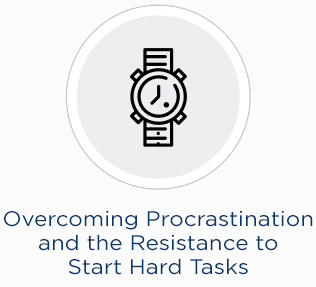 Usually, we procrastinate on the harder, more important tasks and do the easier, less important tasks. Focus and do the most important tasks and procrastinate on the unimportant. Check out Why Procrastination Doesn’t Need A Cure–And Might Even Make You More Productive. Parkinson’s law says that work expands to fill the time allowed it. Have you ever seen that happen in your work or in other’s work? However long the task is allowed, it takes that long to complete. Notice how school papers, no longer how much time is given to be completed, almost always are not finished until the night before (or the day of)? Set yourself deadlines. Get the task done before that deadline. Force yourself to get it done faster. When you finish a task, cross it off or add it to a “done” list. Doing so can help feel a sense of accomplishment and give you motivation to keep going. However, as Charles Duhigg shows in his book Smarter Faster Better, make sure you aren’t using your task list as a mood repair but to be productive. If you focus on finishing easy tasks so you can cross it out (instead of the important tasks), you are using your to-do list wrong. Distractions keep you from being focused and waste time. They can be anything from an “idle chat” visitor to your email notifications to an uncomfortable chair. 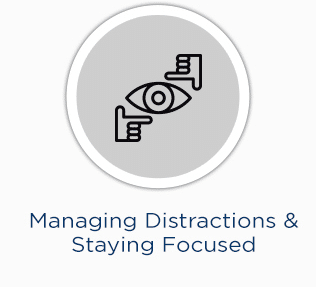 Here are some strategies to help you overcome distractions and stay focused. Avoid talking with idle chatterboxes who come by. Putting headphones on, even if no music is playing, can sometimes be a deterrent. Avoiding eye contact as people walk by can also help. Looking at people in the eye can often be an invitation for conversation. You may have to tell the person that you can’t talk right now but can pick up the conversation later (such as at break time or lunch). Here are some other strategies to get the idle-chat visitors to move on. During times that you need to work uninterrupted, set a do not disturb time. You can post it on your door or desk. Let other people know that during that time, you are not to be disturbed. One big time waster can be “got a minute” meetings that can often turn into much more than a minute. To combat those, schedule set times when people who have issues can come by for those type of meetings. Require people who come with a problem to come with possible solutions as well. This will cut down some of the people who come by. You can also request any of these “got a minute” meetings be sent by email. Or you can tell them that if it’s an issue, to put it in the next weekly meeting agenda. Check out Time Management And Got A Minute Thieves. Schedule set times when you will check and answer emails and make phone calls. Set one time in the morning and one in the afternoon, for example. When it’s not your scheduled time, don’t check them (if possible)! Let the voicemail pick up your phone. Your voicemail could even mention what times you answer the phone or check voicemail. You could also do the same with an email autoresponder outlining when you check and answer emails. Doing this helps you stay focused on your tasks and avoid focusing on the “urgent” tasks that often come with emails and phone calls. Check out Get More Done by Checking Your Email Only Twice a Day. Notifications can be distracting. Every time someone emails you or sends you a message on Slack or another instant messenger, a notification pops up, and there is often a “ding” or other noise. Each time the “ding” sounds and you see the little notification, you will be tempted to click on it. Even if you initially resist, your curiosity could easily overtake you just to see what it says. Or, you will use part of our brainpower resisting that curiosity instead of focusing completely on the task at hand. This keeps you from being focused on your work. Not only do you stop what you are doing to check the notification, youlose whatever focus and “flow”you had on that task. You can also fall into the temptation of doing the “urgent” that comes with the message instead of what you need to be doing right then. Check out Why You Should Turn OFF Your Notifications. If you are easily distracted by social media or other sites, use a blocking app or software that blocks these sites for you. You can have it block them for the entire day or for set periods of time. Interruptions and crises are going to happen. Make sure you plan and leave enough time in your schedule to deal with the interruptions that come your way. If you expect and plan for them, they won’t be as stressful when they happen. Check out Plan for Interruptions to Minimize Their Impact. If you are miserable because the temperature is too hot or cold, you won’t be able to focus as well. Having an uncomfortable seat or awkward keyboard position can also hurt your focus and productivity. If you overeat at the all-you-can-eat buffet and your belly is aching, that affects you as well. Take what steps you can to make sure you are comfortable. If you need a new chair, request it (if possible). You may not be able to control the temperature in your office, but you may could bring extra clothes or a fan. If you get uncomfortable sitting after a period of time, get up and walk around and stretch (something that’s good to do even if you aren’t getting uncomfortable!). In his book How We Learn, Benedict Carey says that we learn better when we study listening to music versus in silence. Studies have shown that music can help lift our mood, which increases our productivity. It can also help block out distractions in a noisy environment. Not every kind of music is helpful, though. If you are doing deep thought or creative work, music without lyrics is best. If you are doing more physical work or low-immersion tasks, music with lyrics works great. For more information about how music helps productivity and what to listen to when, check out this article on Help Scout. You may also find these articles on Psychology Today and The New York Times interesting. These are miscellaneous time management tips to help you be more productive. When you are trying to be productive, it can be irritating when people constantly interrupt you. Don’t do the same to other people. Ask for permission before barging in. Ask if it’s a good time. Ask when you can meet with them. Already have a solution ready for the problem you want to discuss. Don’t waste time discussing unimportant topics. Email about when you can chat. Be respectful of other people’s times, and they are more likely to be respectful of yours. We can waste a lot of time by touching the same thing multiple times. For example, we check our email. Then we look at it again. Then we read it again when we respond. Or there is a report or paper we look at multiple times before we do anything with it. Or we put our laundry on the ground. Then later we pick it up and move it somewhere else. Each touch is a waste of time. Instead, implement the “touch it once” rule. Check out Simplify Your Life with the Touch-It-Once Rule. Sometimes we can get more work done when no one is around. Arrive to work early and knock out your most important items before any interruptions come your way. One of the biggest time wasters at work are the conversations that have nothing to do with work. Granted, there are times to talk (such as at lunch or on a break), but many people waste hours a day talking about topics unrelated to what they need to do. Avoid idle conversations and focus on your work when it’s time to work. Life happens. If you are rigid with your schedule, it’s going to cause more stress than needed. Be willing to be flexible and move items around as needed. If you plan for interruptions, it makes it easier as well. If you are good at a certain task but not at another, and your coworker is good at the other task but not good at the one you are good at, switch! For example, if you are good at Excel and your counterpart is good at PowerPoint, why not do Excel work for your coworker and let your coworker do the PowerPoint tasks? This can save you both time and frustration. Granted, it may be important for you, using this example, to learn the software. But if it’s not part of your 20% but something you have to do, wouldn’t it make sense to switch it to give yourself more time to work on your 20%? One way to manage your schedule is to theme your days. You may, for example, focus Mondays on social media, Tuesday on your blog, Wednesdays on marketing, etc. Or you may have days (or parts of days) to focus on different areas, or you might switch them up week to week. This is how Jack Dorsey, CEO of Twitter, themes his days. As common sense as this sounds, many do not follow this rule. They start their day checking socials, exploring websites, talking with coworkers, etc. If you want to be productive, avoid the time wasters and start your workday working on your most important task immediately. Check out What Successful People Do With The First Hour Of Their Work Day. Be organized. Have a home for everything. When you spend time searching for your keys or that paper or your mail, you waste time. I can’t tell you how much time I’ve wasted in the past looking for my phone or keys, time I’ve could have been using to get things done. Have a home for everything and put it there. Check out 10 Great Reasons You Should Be Organized. Before starting a task, clear your desk of everything except what you need for that task, and make sure you have everything you need for that task ready on your desk. This helps you stay focused on the task without having to stop and search for a missing paper or item. It also keeps your desk from being cluttered and having to dig through piles to find something. If you work in an interruption-rich environment, see if there is a coworker that you can work with to cover for each other. During these times, you (or the other person) will be able to work uninterrupted on a task while the other takes care of all the interruptions. You are influenced by the people you surround yourself with. Don’t spend time hanging out and chatting with people who are unproductive and don’t get anything done. Spend time with people who are productive. Sometimes the best step we can take for our productivity is to take a break. In his book 15 Secrets Successful People Know About Time Management, Kevin Kruse told a story about how The Draugiem Group installed software that would track their employees’ time and productivity. They discovered that their most productive workers didn’t work more hours; instead, they took more breaks. In fact, they took a 17-minute break for every 52 minutes of work. Try to take a break every now and then. Work for 25, 50, or even 90 minutes, then take a break. Let your mind refresh and relax. Get some water. Take a walk. Eat a healthy snack. With the Pomodoro Technique, you work in focused sprints with breaks in-between. You work 25 minutes, take a short break (about 5 minutes) then do another 25 minutes cycle. After you finish four cycles, you take a longer break (15-30 minutes). This helps you stay focused on a task for a set amount of time and forces you to take breaks to refresh yourself. If you are like me, when you get stuck on a problem or hit a wall, you want to keep working at it till you figure it out. But that’s often the wrong choice. Generally, we will keep hitting the same wall. Benedict Carey in How We Learn says that the best thing we can do is step away for five to twenty minutes, do something else, and let the problem incubate in our subconscious. Our subconscious will work on it while we aren’t thinking about it. Then, after we come back, we will be a little bit more refreshed and likely have a new perspective on the problem. What is possibly one of the biggest causes of you being overwhelmed and not working on your 20%? It’s your inability to say “no”. You may not want to seem unhelpful or don’t want to offend anyone, but by saying “yes” to everything, you get yourself overwhelmed with tasks that don’t drive you toward your goals and that aren’t part of your 20%. Saying “yes” to one thing is saying “no” to another. When you say “yes” to a low-value task, you are saying “no” to the higher value tasks you could be doing. When someone asks you to do something, if it doesn’t help you move toward your goals or part of your KRAs, tell them “no”. Check out How People Pleasers Can Learn to Say “No” More Often. Sometimes your boss or supervisor may give you a new project or task when you are already full. Instead of just saying “yes”, explain to your boss what is on your plate and that to do that task or project, you will have to take away or diminish one of the other projects. Ask him or her which one needs to be moved, removed, or reduced. Buffer days are days set after you travel, attend a conference, or go on vacation to make the contacts you need to and/or catch up with everything at the office. Often, when you return, you can get overwhelmed by everything you have to do and everyone coming to you. If you were planning to make contacts with people from your travels or conference, for example, that can easily get pushed aside and forgotten. Instead, plan a day afterward to focus on making those contacts. Or use it to catch up on everything at the office before the normal returns. You could have your calendar set as still being out for everyone else so that you can focus. Listen to or read Ken Courtright’s insight on buffer days. According to Ken Blanchard in The One Minute Manager Meets the Monkey, monkeys are the “next move” for an issue or problem. When people come to you with a problem, it can be easy to take on the problem and try to fix it yourself. The problem is, when you do that, you take their monkey. You will start to become overwhelmed trying to fix everyone’s problems. And doing so also shows a lack of trust in the people you took the monkey from. Don’t take people’s monkeys. When someone comes to you with a problem, it’s usually a good policy to have them come with possible solutions as well. This keeps them from relying on you, and they may solve the issue without having to come to you. When they come to you, you can guide and direct them, but don’t take it upon yourself to fix it. If this is a problem you struggle with, read The One Minute Manager Meets the Monkey. We only have 1,440 minutes in a day. If you don’t value your time and show that by your actions, those around you won’t respect it either. Kevin Kruse in 15 Secrets Successful People Know About Time Management says that he put up a sign with the number 1,440 printed on it. Whenever people came by to chat, they would ask him about the sign. He would tell them it’s a reminder to him about how important every minute is and to use it wisely. Often people realized that what they came by to chat about really wasn’t that important. It’s easy to get distracted by an interesting article or website we find while working. Instead of interrupting the task you are working on, use an app like Pocket to save it for later. You can set a time in your schedule to look at the articles you have saved. You can also use bookmarks and have a folder set for articles you want to look at later. Jim Collins, author of Good to Great (among other books), suggests creating a stop doing list. A stop doing list contains, as you can imagine, activities that you need to stop doing. 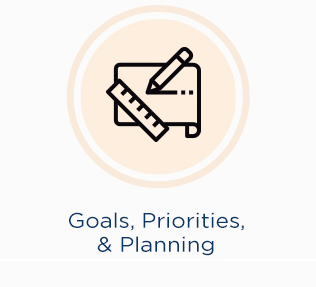 What tasks are you doing right now that don’t match your priorities and goals? What activities waste your time or are bad for you? Create a list and stop doing those items. A survey from 2003 said that 1/3 of high school graduates and 42% of college graduates did not read another book after graduating. While in 15 years we can hope those stats have improved, the fact is many people do not consistently improve themselves. And that’s dangerous. When you aren’t continuously growing yourself, you are hurting your future. You are either appreciating or depreciating. You are either growing your knowledge or forgetting (how much of what you learned in high school or college do you remember?). And more than that, technology is constantly changing. What was relevant 5 years ago may not be relevant today. If you aren’t constantly growing yourself, you are limiting your promotion and earning potential. Have you ever heard of Peter’s Principle? It says that people are promoted to their level of incompetence. When you stop learning, you are limiting the level of promotion you can get. Read. Listen to audiobooks. Attend conferences. Watch educational videos on YouTube. Every day grow yourself. If you are weak in one of your Key Result Areas, improve it. Remember, the average CEO reads at least 1 book a week. There’s a reason for that. In a factory setting, the machine that slows production is the bottleneck. It doesn’t matter how fast every other machine produces. If the other machines must wait on that one machine to finish, it bottlenecks production. What bottlenecks do you have in your life and work? What slows you down? Is it a certain skill? Do you need to learn how to use Excel or Word or your CMS system better? Do you need to learn to type? Find out whatever it is and fix it. For more information about the theory of constraints, see Eliyahu Goldratt’s book The Goal. There’s always going to be more to read than we have time. Be selective about what you spend time reading. Is it going to be helpful? Do you need to read it? Just because you start, you don’t have to finish. If it’s not enjoyable or not what you thought or helpful, stop! You don’t have to read the whole thing. If only certain chapters apply, just read those. You often can get the overall gist of the book by just reading the first sentence of every paragraph. Reading the summary and conclusion (if included) in each chapter can give you an idea if that chapter is worth reading or give you an overview of what to expect. To learn more about how to be an effective and selective reader, check out Triple Your Reading Speed or 10 Days to Faster Reading. One of the best skills I’ve ever learned (and still working on) is speed reading. I’ve been able to go through so many more books in the time it used to take me to read one. The faster you can read, the faster you can get through your reading stack. To learn more about speed reading and how to do it, check out Triple Your Reading Speed or 10 Days to Faster Reading. Wait time (such as in a doctor’s office or waiting for someone to arrive) can be a huge waste of time – if you don’t use it well. To fix this, plan ahead what you want to during that time. Are there reports you can go over? Do you have a book you want/need to read? I’ve brought my laptop into a doctor’s appointment before, plugged it in, and worked whenever I wasn’t being seen by the nurse or doctor. Dr. Jason Selk and Tom Bartow in Organize Tomorrow Today suggests using our open spaces more effectively. Open spaces are the few minutes you have between meetings or tasks. Often those times are wasted by checking Facebook or emails, having idle conversations, and so on. Instead, have small tasks (that move you toward your goals) listed and ready to do during those times. Granted, you may want to use that time as a break, have a conversation with a coworker about something important, or so on. Just make it’s intentional and purposeful. Is there a way to automate some of what you do? Some programs such as Word, Excel, and Photoshop have macros or actions you can set that automate a repeated function. Are there programs you can buy that automate or batch tasks that you do one by one? Is there a way you can implement Zapier? Learn how to do macros or actions in Word, Excel, and Photoshop. These people pull you down, drain you, and make your life miserable and less productive. Avoid them at as much as possible. Reads Lifehack’s 10 reasons why you should avoid negative people. Developing a sense of urgency will also help you get in the “flow” where you are focused and more productive. Keep a notebook with you to record tasks, ideas, and other notes as they come to you. For one, we often forget even when we don’t think we will (how many times have you had this amazing idea in the middle of the night but forgot by morning?). Second, it becomes your second brain. Instead of using brain power and part of your concentration to remember tasks or ideas, you can focus completely on the task in front of you because you have those items written down. Getting Things Done is a time management and organizational system presented by David Allen in his book Getting Things Done (bet you never saw that coming). It emphasizes capturing everything in your mind onto paper, organizing it, and more. To learn more, read a detailed summary of the Getting Things Done methodology or buy the book. Some tasks are daunting. They are so large or difficult that we procrastinate on starting them. Here are some tips to overcome that resistance. Break up the task into small pieces and lay it out, step by step. When you break it into smaller pieces, it becomes more manageable and you can focus on doing one step at a time. Then, do the first step. When we look at a giant project or task, it can seem overwhelming. Instead of focusing on all that needs to be done, focus on the first step only and get it done. Then, focus on the next step. Brian Tracy in Eat That Frog! suggests using the salami method. With the salami method, you slice the task up and just do one “slice” of the task to get started. Just do one piece of it. Often, once we get over the resistance of starting and do something, we get motivated to keep going. If not, then you can do the same thing later: just one small part. The swiss cheese method (also provided by Brian Tracy) is similar to the salami method. With the swiss cheese method, you poke a hole in the task – you commit to working on it for 5 minutes. That’s all. Again, just taking the small step to start can often get us in the flow to keep going. If not, just do another 5 or 10 minutes later. Brian Tracy in Master Your Time Master Your Life says that starting on the smaller tasks will often help you overcome procrastination and get started on the big task. Brian Tracy also says that if we start with the one item that will take the most effort and time and finish it, it will make the other tasks seem easier. Do these last two tips contradict each other? They are opposite approaches, but the point is not to be a set system, but options. Try the different methods and see what helps you the most. Meetings can be important to have, but they can also be an incredible waste of time. 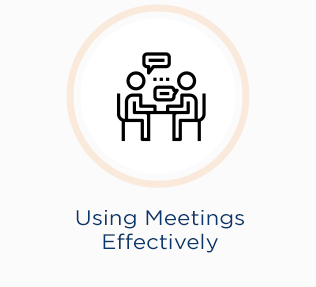 Here are some tips for more effective meetings. If the topic that needs to be discussed can be handled by an email or a phone call, do that instead. Don’t waste your time or other people’s time setting a needless meeting. In fact, Mark Cuban says he doesn’t do meetings unless he is picking up a check. If you don’t need to be there, why waste your time? Have a day where no meetings are allowed in your company. See what other companies are already doing this. Always have an agenda for the meeting and follow it. Don’t deviate or add new topics within the meeting. Have a set time that people must submit topics for the agenda, or it will have to wait till next meeting. Don’t allow people to chase down unimportant topics or discussions. Keep the meeting discussion on topic about the topic at hand (which is from the agenda). Don’t wait for people. If you always wait, people will always be late. Start and expect them to be on time. Walking in when the discussion is happening will likely be motivation to be on time next time. Waiting for those who are late is disrespectful to the time of those who were on time. If people are continuously late, some form of disciplinary action may need to take place. Have a time set for when the meeting will end, and end at that time. This helps keep the meeting focused on what’s important. Start with the most important topics first. If something gets cut off at the end, you have the most important part(s) finished. Set estimates for each topic. This helps attendees keep track of time and stay focused. The Journal of Applied Psychology reported that “sit-down meetings were 34% longer than stand-up meetings, but they produced no better decisions than stand-up meetings”. Daily huddles are quick stand-up meetings done at the same time every day. numbers – daily metrics, etc. stuck – discuss anything you are stuck on. Ken Courtright says that in their meetings each person mentions what they are working on, which is helpful (and similar to “stuck”) because someone else may have recently done something related and can help guide them on what to do and not to do, saving them lots of time. Kruse says that daily huddles often eliminate the need for longer meetings, reduce emails and phone calls, and have a dramatic impact on employee engagement, cross-selling and other variables. A daily huddle with your family can be useful to discuss the events of the day, who has to be where and when, how to handle certain issues for the day, and so on. Emails can be a huge waste of time if not managed well. Here are some strategies to manage your emails better and save you time. It can be almost habitual for us to check our email first thing in the morning. The danger with that, however, is that we can easily be ensnared by the urgent answering emails and little fires instead of focusing on what’s most important. Wait till you finish your most important task(s) first. This will ensure that this task gets done and, even if you do get caught up in the urgent, you still accomplished your most important task for the day. 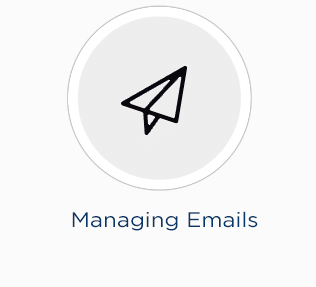 Most email applications come with features such as labels, categories, rules, and more. Some provides and apps (such as Gmail) have additional plugins you can add to enhance your email. Use these to your advantage. Set rules for certain emails to go to certain folders or to have certain labels. For example, you could have a newsletter folder where all your newsletters automatically go. You could create action labels such as “urgent”, “waiting”, and “needs action”. Some suggest having an inbox zero goal – leaving no emails in the inbox. That can be effective if you have a good folder/label system setup and schedule when you are going to deal with certain emails. Handle the last 48 hours. Create a folder labeled “old mail” (or such) and put everything else in it. There, now you have inbox zero. For more information about inbox zero, read Entrepreneur’s article here. No one likes to read emails that are written as an essay. Don’t waste your or someone else’s time with needlessly long emails. Make them short and sweet. Try to stick between 3-5 sentences. In fact, if it’s long, there is a good chance it won’t even be read. Sometimes an email will go back and forth between recipients multiple times, and the topic will change during that time. If you need to find that email later, it will be harder because the subject line doesn’t match the content. When the subject of the email changes, change the subject line to match. Doing this also lets the other person know the subject changed and what the email is about. Kevin Kruse in 15 Secrets Successful People Know About Time Management recommends we use acronyms and needed actions in our subject lines to help others know the next step faster. For example, “NRN: [subject]” means “no response needed”. “[subject] – EOM” means “end of message”. The subject line is the message and there is nothing else. The person knows not to open the email. “ACTION REQUIRED by [DATE] : [subject]” or “TO DO by [DATE]:…”lets people know when something is required or needs to be done. Here are some other acronyms you can use. Think twice before including people in an email. Often people don’t need to be in it, and it creates a lot more emails that others (and you) will receive. Here are some other suggestions related to this topic. Unread newsletters can easily clutter up an inbox. Unsubscribe from any newsletter that you don’t read. You can also use a service like Unroll.me. Tony Schwartz and Jim Loehr in The Power of Full Engagement discuss how the key to greater productivity is managing our energy, not our time. Our energy ebbs and flows, and if we don’t refresh ourselves and take care of ourselves, we will have lower energy and lower productivity. 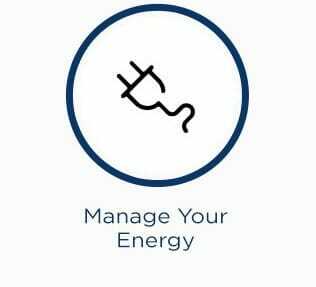 Here are some tips and techniques to manage your energy better. One great way to have a boost in productivity is to exercise in the morning (or, if you can’t, just exercise sometime regularly). Exercising can improve your health, sharpen your mind, and give you more energy. To learn more about the benefits of exercise, check out this article. To learn how it affects the brain, read the book Spark. It hurts your productivity when you do not get enough sleep. You lose focus, mental energy, are sluggish and get less done. Most people need between 7-9 hours of sleep. It can be tempting to work long on a project, but that’s not effective. We make more mistakes and are less productive. It’s more effective to get some rest and start fresh the next day. In fact, working late and skipping sleep can harm the brain. When you consistently get a full night’s sleep, you wake up refreshed and ready to go. You aren’t sluggish or having to depend on caffeine or energy drinks to keep you going. As a side note: If you have sleep or energy issues even with consistent sleep, you may want to visit a doctor. When you eat healthy, you will have more energy. If you eat a lot of junk food, you may get a small boost of temporary energy, but are hurting yourself and your productivity in the long run. Check out these articles by Harvard Health Publishing and Everyday Health. What times do you have the most energy? The least? Are you a morning person or a night person? It’s important to know yourself and your energy cycles because you then can plan your day based off those. You want to do your creative and deep thought work during your high energy times and your more “mindless” tasks during your lows, if possible. If you write, for example, and you have more energy and more focus in the mornings, you will be more creative and get more done if you write during the morning. For more information, check out The Ideal Work Schedule, as Determined by Circadian Rhythms. What helps boost your energy? Taking a short walk? Exercising? Eating a healthy snack? Focusing on a goal? Looking at pictures of loved ones? Discover what boosts your energy and incorporate those into your day when your energy starts getting low. Read 5 Simple Mental Exercises That Will Boost Your Brainpower and 28 Science-Backed Ways to Boost Energy Instantly for more ideas. Brian Tracy in Master Your Time Master Your Life recommends taking one day off every week where you do not do anything related to work. You let yourself rest, relax, and rejuvenate. This is based on the Biblical principle of the Sabbath. Ken Courtright in his podcast says that we don’t rest from our work, we work from our rest. How many of your great ideas came when you were working staring at your computer? When we rest, we allow our subconscious to work, solve problems, and get new perspectives. We de-stress and can hit the work week fresh and ready to go. Some tasks drain your energy. If you know what tasks drain you, you can plan for it. Schedule those tasks for the end of the day or right before a break. Or, better yet, find a way to outsource or delegate these draining tasks to someone else who doesn’t find them draining. Check out 6 Steps to Identifying Activities That Drain Your Energy. It’s one thing to know how to manage your time better, it’s another to actually do it. 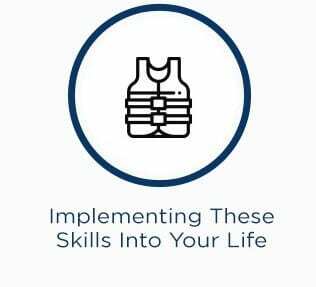 Here are some tips and strategies to help you implement these skills into your life. Find someone to hold you accountable to make the changes that you want to make. This could be someone who is struggling with the same issues and you work on it together, or it could be someone who you report to see how you have done. You can do this through a daily email report or a weekly discussion or something similar. Check out An accountability partner might be the key to building a successful business — here’s how to find one. Jerry Seinfeld had a system that helped him write jokes every day. Every day he wrote, he would put a red “x” on a wall calendar. Once he had a chain of red “X”s, it motivated him to not break the chain. You could do something similar. Mark every day you complete your time management goal. Don’t break the chain. You could also gamify it in other ways. Write out the areas you are trying to improve and score yourself every time you succeed. Reward yourself when you get a certain amount of points or for daily or weekly successes. At the end of the day, write out what you did well that day. Write out the step you are going take the next day to do even better. Check out Organize Tomorrow Today to learn how to do a daily success log. Every week do a review of your time management system for that week. How well are you doing? Where can you improve? Is there something you need to change in your system to be more productive? We often don’t realize how much time we waste during the day. We may think we are only checking our socials for a minute, but those minutes add up fast. For a week, write out what you do with your time and for how long. If you spend 10 minutes chatting with a coworker, write it. If you browse the web, write it. This could exercise be eye-opening to you. A couple of sites that can help you do this include RescueTime and toggl. Explore ways to incorporate these time management strategies into your daily routine. For planning, you could do it at the same time every night or afternoon. Make it “your thing” that when you get to work, before you talk to anyone or do anything, you are going to knock out your biggest task. The more consistently you do it, the easier it will get, and it will become a habit over time. You can also use apps like Habatica or HabitBull or LifeRPG to help you along the way. To explore more about forming habits, check out Charles Duhigg’s book The Power of Habit. The way you talk to yourself can have a powerful effect on your life. Too often we tear ourselves down and beat ourselves up for our mess-ups. Instead, build yourself up. Talk positively to yourself. When you start tearing yourself down, turn it around and build yourself up. Tell yourself the opposite. For time management, don’t tell yourself that you are bad at time management. Tell yourself that you are good at it, that you are a person of action, that you get things done, that you can do it. Over time, this will have a positive effect on your life. Check out The Power of Positive Self-Talk, 7 Steps to Positive Self Talk, and Make Your Self-Talk Work for You for more information about self-talk. If you want to be a person who gets things done and advances to the next level, act it. Be that person already. Do the things that people who are good at time management do. Act as if you are already great at managing your time, and the rest will start to follow. Each person is different and will manage their time differently. There are tons of time management apps that you can choose from to fit your style. Don’t overwhelm yourself by trying to implement everything at once. Pick out a couple tips and apply those first. Once you have those down, come back and add some more. I hope this article has given you some tips that you can apply to your life to make you more productive at work and move you closer to your goals. and how to implement these in your daily life. I’d love to hear your feedback: what tip(s) are you going to apply in your life today? Did I leave anything out? Here’s to you and your future success!